Be prepared with Notifica, an app that sends out secured messages to your support network when you need it the most. Preparate con Notifica, una aplicacion que manda mensajes seguros a amigos y familiares que te respaldan en el momento que mas lo necesitas. Report immigration agents in your city by calling 1-844-363-1423. 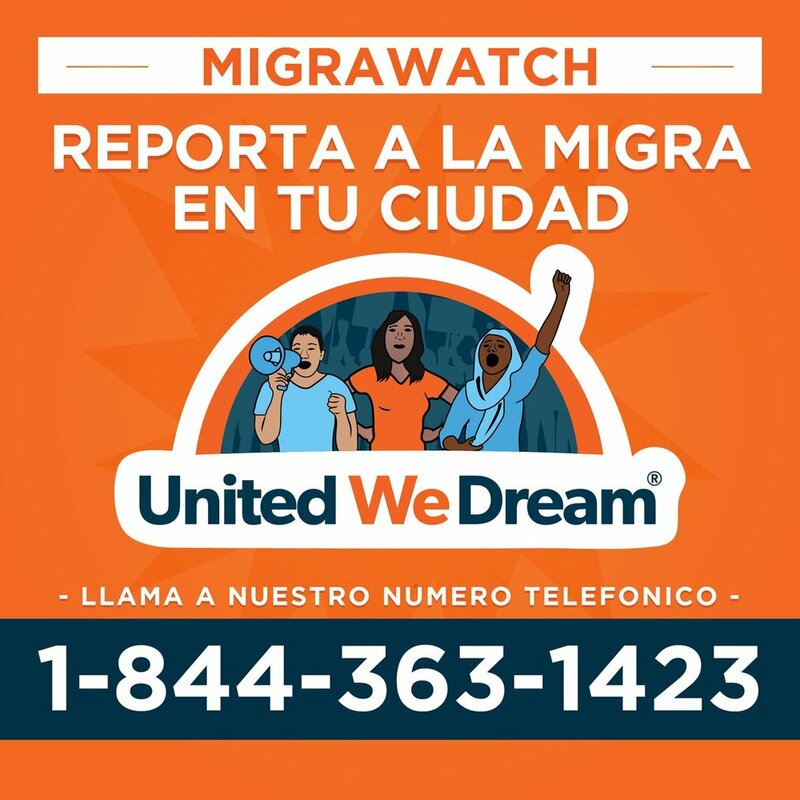 Reporta a la migra en tu ciudad marcando al 1-844-363-1423.